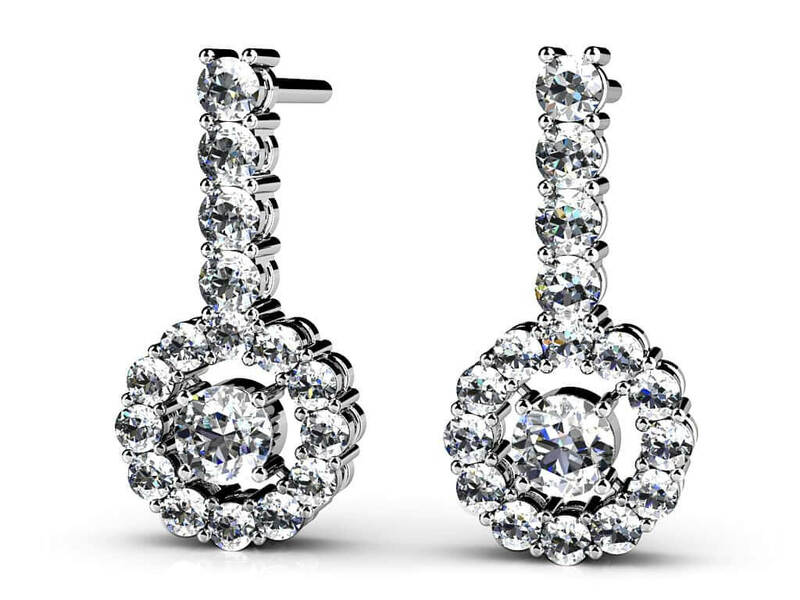 This drop earring design features alternating gemstones and diamonds in a vertical line down the front of the earrings with a fabulous wheel shape at the bottom covered in diamonds. In the middle of the wheel is a larger, round gemstone. 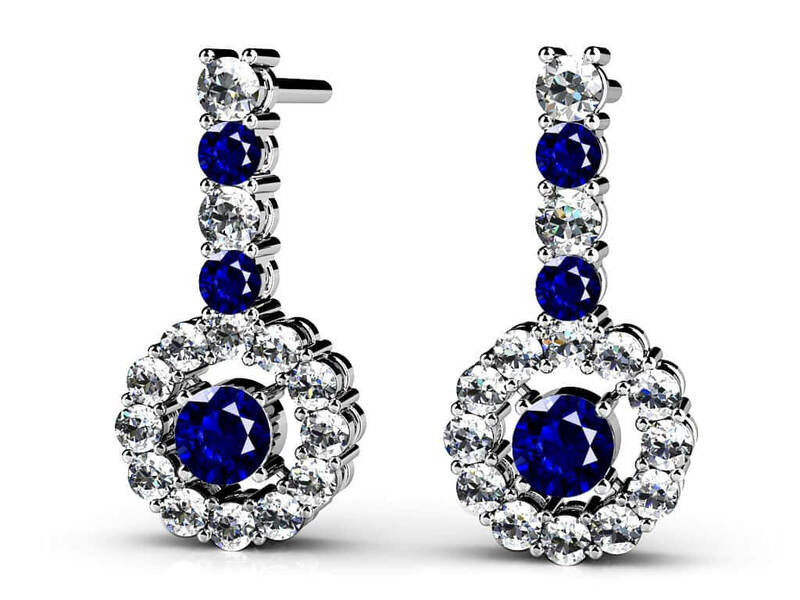 Customize these earrings according to your favorite gemstone and metal type. 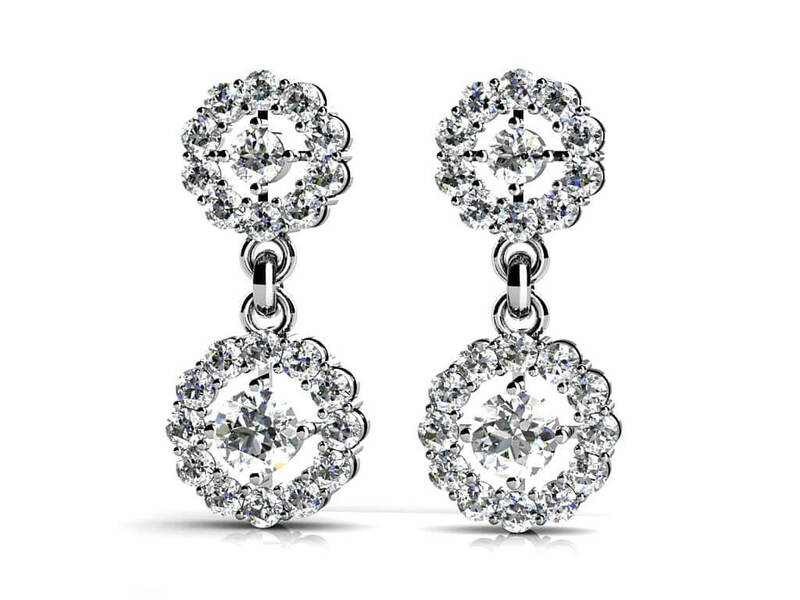 Our detail-conscious craftsmen can make these for you in white gold, yellow gold or platinum, and they’re available in 4 different sizes, ranging from 0.5 carats to 1.5 carats total carat weight. Stone Carat Weight: 24X.012 ct., 4X.015 ct., 4X0.015 ct., 2X0.060 ct.